While most students were in school March 8 – 10, 2017, twenty Rockland High Student Government members attended MASC, a leadership conference. MASC stands for Massachusetts Association of School Committees. The annual three-day, two-night conference is held at the Resort and Conference Center at Hyannis and Cape Codder Hotel. Although MASC takes place in Hyannis, student leaders from all over Massachusetts attended. Four regions in Massachusetts that make up MASC are Northeast, Southeast, Central and West. “These three days are full of events, motivational speeches, workshops, awards, and entertainment—and are a rewarding experience for any student leader. Attendees are trained in areas of leadership, allowed to network with students from across Massachusetts, and celebrated as student leaders for their achievements throughout the year,” says Joanne White, co-advisor of Rockland High SGC. 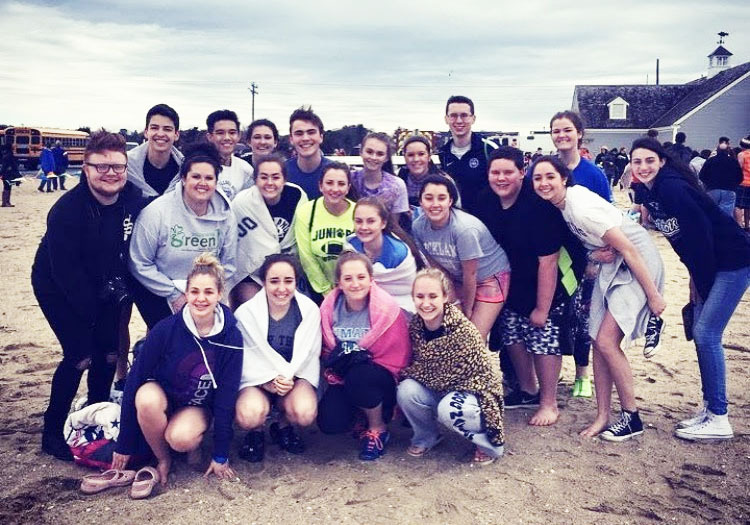 The first day Rockland High SGC members, along with many other student leaders from all over Massachusetts that attended the conference, participated in the Polar Plunge. This fundraiser has students and advisors run into the ocean to raise money for Special Olympics. Rockland High raised around 1,200 dollars under Jillian Donahue’s name. As a whole, MASC raised approximately 40,000 dollars. 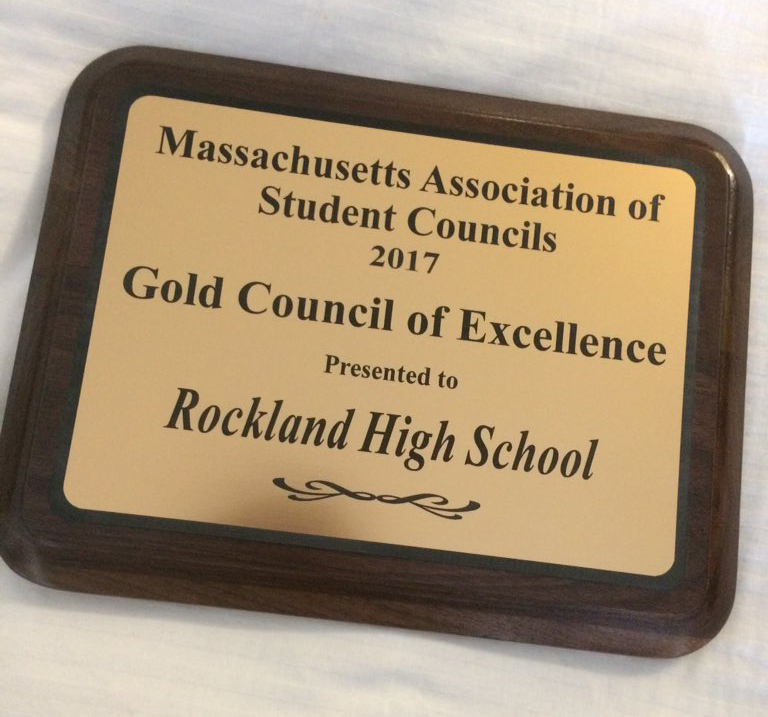 At the conference Rockland was awarded a Gold Council Award for the seventh time. “To be a gold council means we completed multiple activities and achievements throughout the year as a school,” says Ms.White. Adam Royle, Abby Condon, and Macie Jones helped put the binder together which was made to show what events the school has participated in throughout the year. The binder was put on a table with many other binders to be looked at by other student councils. MASC is more than just a leadership conference for students. They do take home leadership skills, but they also form friendships that will last a long time. “It allows us to get to know each other better, and get a feel for how to work with each other more efficiently. We get more things done in school every year because of the strong bond we all share,” says Ellard.